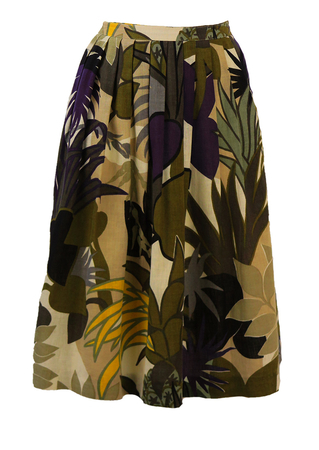 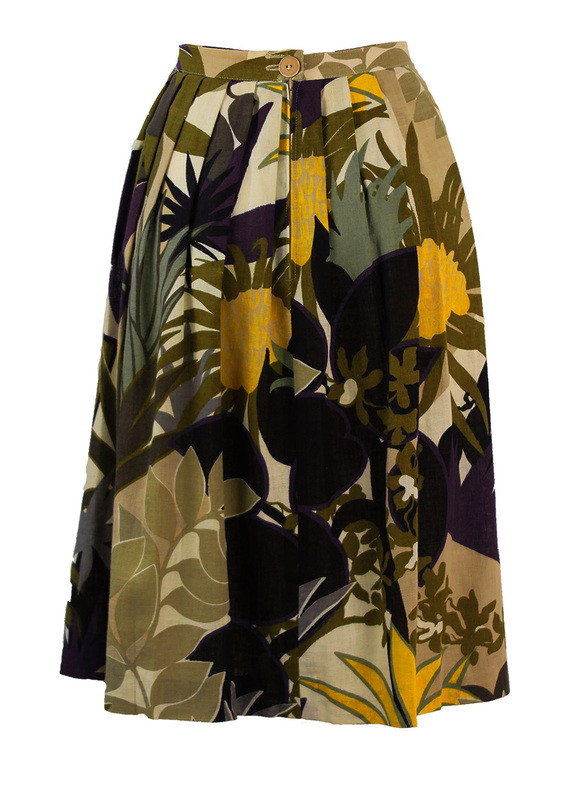 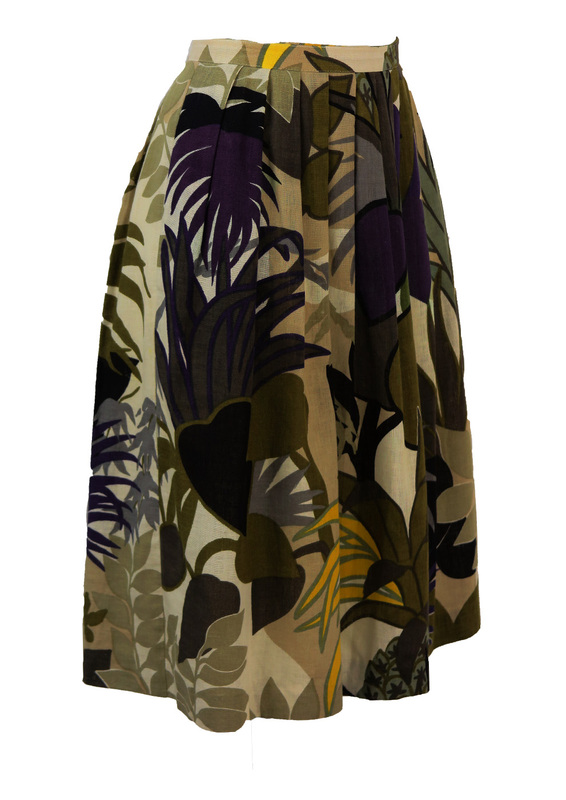 Cotton & linen pleated skirt with a vibrant tropical palm print in lovely colourways of purple, taupe, olive green & cream, accentuated by bright yellow palms. 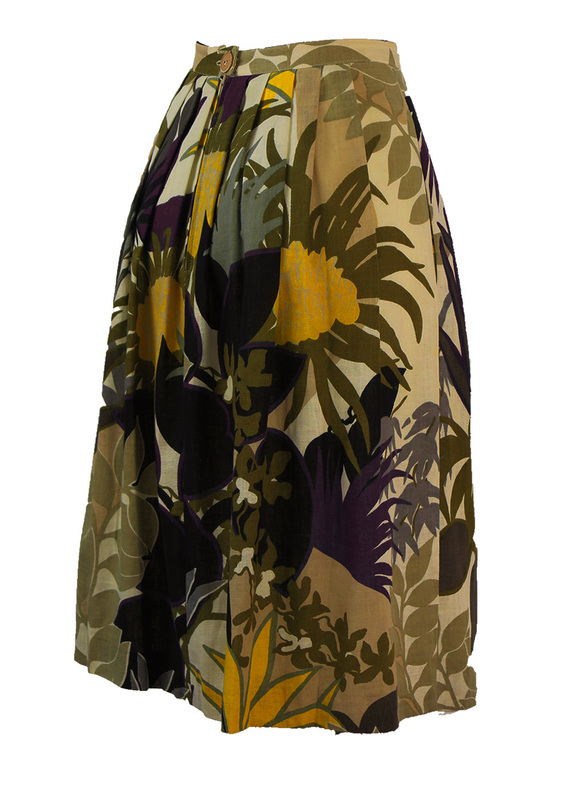 The skirt has side seam pockets, is fully lined and sits below the knee – a lovely design to sashay from Summer through to Autumn! 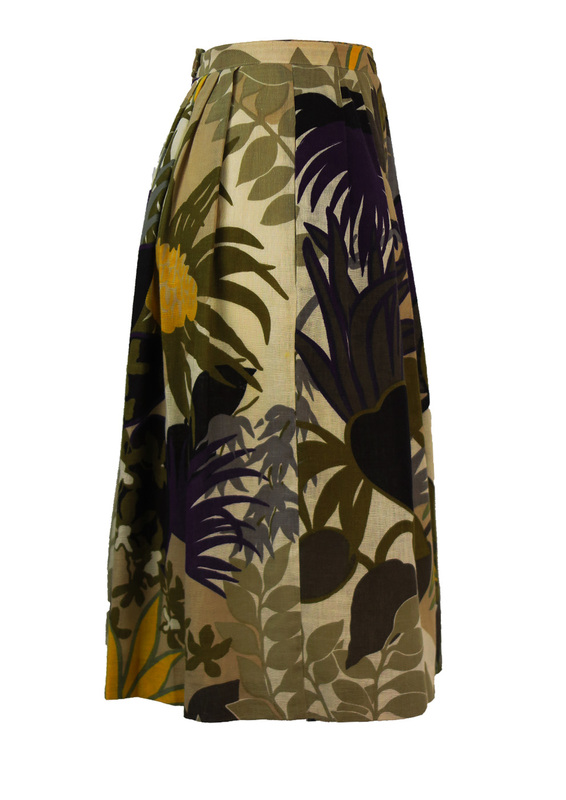 We have sized the skirt between a size S and M due to the cut of the garment. Please refer to our waist and other measurements for further sizing guidance.